During my iPhone Photography events I feature and demo a number of apps. Here is a list of my current favourites with App store links. Originally published May 14, 2018, updated March 4, 2019. Some of the most stunning photography is created at the start and end of a day. The periods shortly before sunrise and following sunset will potentially provide beautiful warm, diffused lighting, and is commonly referred to as 'The Golden' or 'Magic' hour. During these moments the sun will either be below the horizon or low in the sky, producing infinitely more flattering light than can be found at any other time of the day. Sanibel Sunrise. Golden hour photography © Adrian McGarry. For landscape and outdoor photography that relies on natural light, these conditions are crucial in creating beautiful, natural scenes. Neither of these periods lasts exactly one hour and the actual duration will depend on weather conditions and time of year. The light can change quite quickly and no two sunrise or sunset shots are ever the same, which makes this type of photography so exciting and rewarding. Depending on local conditions the light before sunrise or after sunset is also known as the 'Blue' hour which refers to the period either before or after the warm light of the sun is not evident. I like to give myself plenty of time to set up and get ready for golden hour shots. I try to work out my composition in advance of the optimum lighting conditions. I use The Photographer’s Ephemeris app for iPhone and iPad that allows me to plan my shots in advance by calculating the angle of light and expected times for any location and time of year. Another crucial aid for planning ahead is Dark Sky app which delivers down-to-the-minute hyperlocal weather forecasts with custom notificatications. My Tide Times app is perfect for beach or ocean photography. The app will displays the heights and times of tides for any location, including over 9,000 tidal stations in over 40 countries. The nearest locations are displayed when the app opens and are shown on a map. Try to visualise your photograph in thirds, both horizontally and vertically. Think about where you position the horizon in your shot. Make a decision about the most interesting area of a scene, if there is an interesting sky, place the horizon on the bottom third so you get more emphasis in the top of your shot. Likewise, if the bottom of the shot is where the main interest lies then concentrate of placing the horizon on the top third, so you get more of the bottom. Try not to place the horizon in the centre of the image. Also, keep the horizon line straight and not crooked. To help compose your image into thirds you can enable grid lines to appear on the iPhone camera preview screen. Launch 'Settings' from the 'Home' screen of your iPhone or iPad. Scroll down and tap on 'Photos & Camera'. Turn on the switch next to 'Grid' under the Camera section. Sunrise and sunset images work great when there is a body of water in the composition. The reflected light can add a beauty to the shot that wouldn't be available at any other time in the day. For added interest add some foreground elements into your shot. Lighthouse Sunset. Compose your shot to emphasise the most interesting part of your subject. © Adrian McGarry. 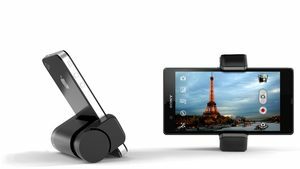 It may seem contradictory to recommend the use of a tripod when photographing with a mobile device. After all, we know that the main reason we all love iPhone photography is for its convenience. You are forgiven for thinking that lugging around a tripod and all that setting up is a hindrance and the very opposite to portability and instant shooting. The thing to remember here is that we need to follow some basic photography principals if we are to achieve the very best results. Modern tripods are lightweight, easy to use and inexpensive. Although image stabilisation is now a feature of the latest iPhone models, the use of a tripod can make all the difference in creating a sharp result in low light conditions and is essential for long exposure. 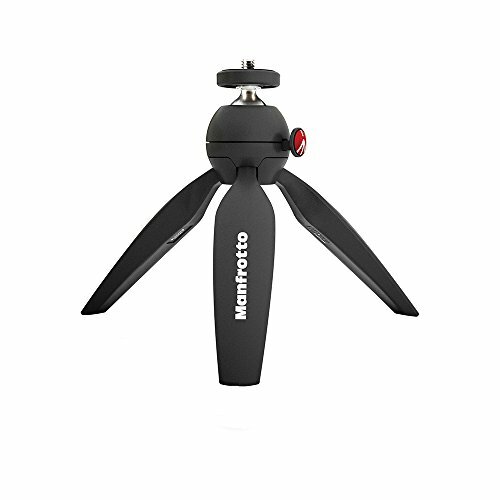 I use a Manfrotto lightweight tripod, perfect for traveling and easy to carry when collapsed. To secure my iPhone, I use the excellent Shoulderpod S1 which is also a handgrip. Once you have your iPhone secured on a tripod it is a great opportunity to try some additional long exposure shots or time-lapse and slow-motion movies. 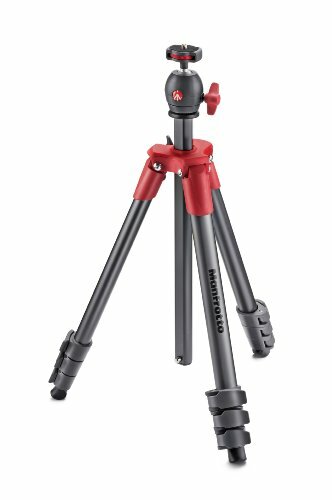 If a tripod is not available then make sure you steady yourself as securely as possible or lean your device against a stable object. Most objects can be made into a silhouette. Choosing a distinct, simple, recognisable shape will add interest, drama, and mood to your shots. Expose for the lightest part of your image (normally the sky in a golden hour shot) and the foreground subject will be silhouetted against the light. You don't have to create a total silhouette, the use of available light can add subtle details and highlights to your subject rendering them more three dimensional. The inclusion of neon signs, street lighting etc. will stand out more in the low light and add further engagement to your image. The iPhone has an excellent, subtle, HDR mode, additionally there are lots of apps that also produce HDR results. HDR stands for High Dynamic Range. It’s difficult to capture both bright and dark extremes in a single photograph, by combining multiple exposures HDR technology produces a composite image that has detail in all areas of the image. Your iPhone is capable of saving two versions of the image to the Photos app for comparison; one with HDR and one without. To save space, you can turn the feature off and keep just the HDR version. Scrol to HDR and toggle off 'Keep Normal Photo'. I often use a third-party app if I want a more advanced HDR process on my shots. My current favourite HDR app is ProCamera which gives ProCamera gives advanced DSLR-like camera functions with semi-automatic and full manual controls. An in-app add-on (additional payment) gives HDR capabilities with up to 5 bracketed images to boost the amount of detail seen in the photo – especially in extreme lighting situations. Golden hour photos of silky smooth water or blurred cloud motion are very popular and simple to create with an iPhone. The soft, dreamy effect is the result of a longer amount of time that the picture has been taken. You'll need a tripod to ensure there is no movement during the exposure. Live Photos, available on an iPhone 6s or later, can create long exposures. Check out my 'How To Master Live Photos' tutorial to learn how to create a long exposure image with Live Photos. Alternatively, use a third-party app that either allows additional control of the camera settings or a dedicated app for long exposure shots like my personal favourite Slow Shutter Cam . These apps allow you to set a timed exposure of your image. The longer you expose your photo, the more blur you will create in your picture. Evening Cloud Rush. Keep your camera steady in lowlight conditions. © Adrian McGarry. City sunrise and sunset photos can be just as dramatic as the natural world. Street level views can be dynamic and portray the true vibe of a location. Finding a mid-level view will create a true cityscape giving depth and wider perspective. A cityscape of Manchester just after sunset. iPhone 6 Plus image. © Adrian McGarry. Create mood and atmosphere in your portrait shots as the light illuminates not just your subject but bathes their surroundings in beautiful soft, warm tones. When shooting with an iPhone in low light you may encounter digital noise. When a camera's digital sensor attempts to record in low light, tiny amounts of stray electrical signals appear on the finished image as dots or flecks. Each new generation of iPhone camera will improve digital noise but it is something that you will need to deal with. I accept that there will be some noise in my iPhone shots and I've learnt to live with this. I do attempt to eliminate noise where I can by editing but be careful not to overdo this and blur the image. The Enlight app has powerful editing tools that are easy to use and the denoise filter produces improved image results. You can also eliminate noise from your images by shooting with a long exposure app, Slow Shutter Cam has a low-light capture setting. Cortex Camera combines dozens of individual photos to create a single high quality and noise free image. 10. The most important tip is to HAVE FUN! Enjoy your photography, don't worry if your attempt at the perfect sunrise or sunset fails. There's plenty more opportunities to produce that shot that you've got in your head. Try new apps, different techniques and subjects. Keep experimenting, there's always something new to learn. Most of all remember, it's your camera, your photo, your rules! In the aftermath of the devastating attack at the Manchester Arena on the 22nd May 2017 an amazing sense of unity and solidarity was shown all across the city and beyond with the Manchester Bee right at its heart. 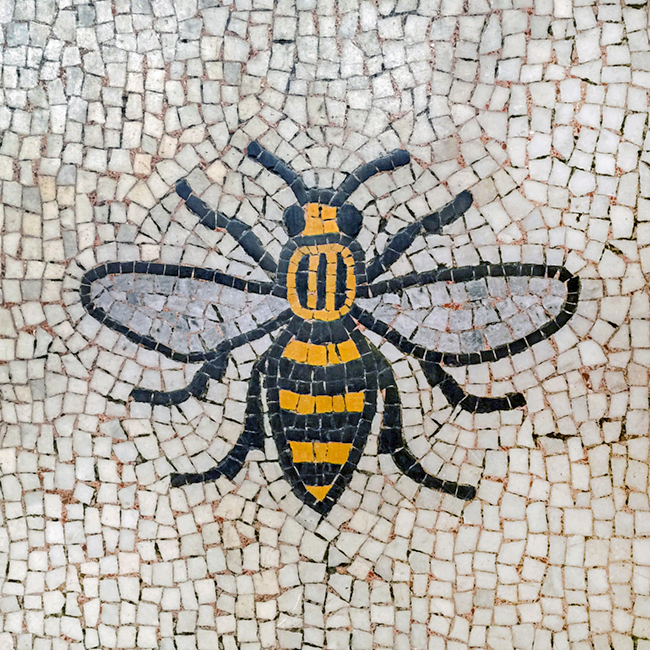 For over 150 years the worker bee has been an emblem for Manchester and is one of the best-known symbols of the city. In 2015, Inspired by Manchester's awesome urban art, I created a piece entitled 'Urban Bee'. The worker bee motif can be traced back to 1842 when a crest of arms was granted to the city. A classic heraldic design, the coat of arms is full of symbolic information. A centre-piece shield is flanked by an antelope and a lion. The antelope, more of a mythical figure than true animal, stands for peace, harmony and courage whilst the lion is a classic symbol of bravery and strength. The shield itself is taken from the lords of Manchester, who ruled the city prior to 1301. A common belief is that the three diagonal stripes depicted on the shield represent the rivers which run through the city centre: the Irwell, the Irk and the Medlock. The image of a ship signifies trade and enterprise. The shield is crowned with a globe covered by a swarm of seven bees. The city's motto, Concilio Et Labore, which can be loosely translated to 'wisdom and effort' or 'through council and hard work' or even 'By working together let's acheive great things', is shown on a scroll at across the bottom of the design. Motivating others to take the next steps on their image-making journey has become somewhat of a passion. I have hosted numerous workshops, seminars and performed live demonstrations sharing my images, workflows, techniques and knowledge. I never tire of presenting inspirational talks and workshops to groups, clubs, companies and individual one-to-one sessions. I believe that my enthusiasm and love for photography and visual arts is one of the reasons why my events are so well received and popular. I'm thrilled that both of my presentations 'Pixel Painted Art' and "Ultimate iPhone Photography' are always in demand and many organisations book a return visit. My talks constantly evolve to include new methods, demonstrations and images. Audience feedback and questions are encouraged both during and long after the event via my website and email. I cover the technical and conceptual aspects of my work, sharing the inspirations and influences that shape my creative approach. Created using brushstrokes and textures with software such as Corel Painter on the desktop and various apps on the iOS platform. Attendees are inspired to create photo art as gifts, greeting cards or submissions in competition. Within the iPhone photography presentations I demonstrate the potential to capture incredible photos that take mobile photography from ordinary to extraordinary both onscreen and in print. In March 2013, the Royal Photographic Society awarded me an ARPS distinction; awarded for images of exceptional standards. Recently, the Corel Corporation, a leading global software company, gave me the status of 'Feature Artist' in their Painter 2018® software, to my immense delight, in recognition of the work that I produce in their amazing digital paint application. I also run regular workshops, where participants work along with me in capturing and editing images. I can create a group workshop schedule for organisations, minimum and maximum participant numbers apply. For one-to-one workshops please contact me direct. If you are looking for an accomplished, inspirational speaker for your event then please consider contacting me, I will be only too pleased discuss your requirements. The light and drama of the ever-changing coastal landscape is the inspiration behind this photo art collection. No matter the weather, time of day or season; the sound of the waves, blended with endless skies, evokes a sense of freedom. Our spirits are lifted, emotions stirred and lines between dreams and reality become a blur. 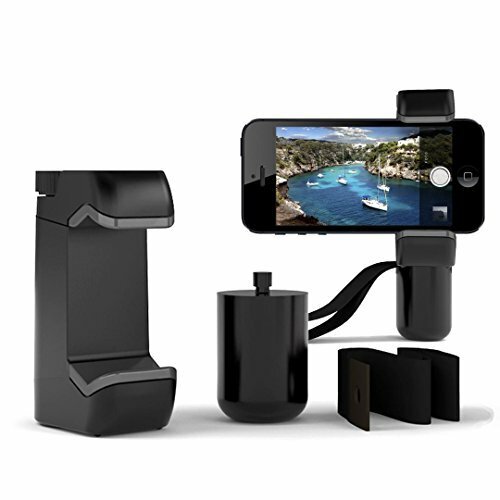 Want to create more than a simple snapshot with your smartphone? Then join eminent iPhone photographer Adrian McGarry in Stockport’s magnificent War Memorial Art Gallery for two hours of instruction, practice and inspiration, guaranteed to raise your smartphone creativity.